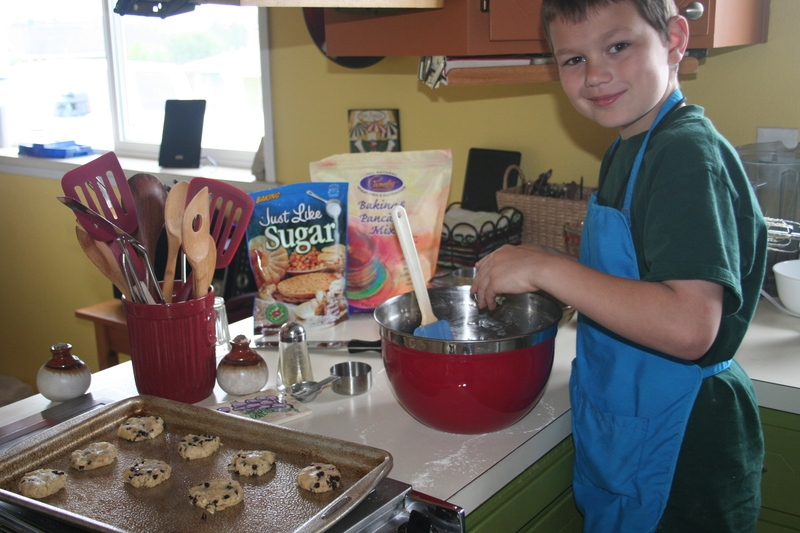 A few days ago I wrote a blog called ‘Just Like Sugar®’ Chocolate Chip Cookies. I do not eat chocolate or sugar so even though I made them and ate them, I had made them for the kids with the chocolate. I decided I wanted a cookie that I can eat for real. I’m experimenting with a new product that a client of mine brought to me, Just Like Sugar®. Read the first blog to find out about ‘Just Like Sugar®’ for yourself and another blog in the comment section that has written about as well and tells a bit about how the company discovered and created the product. 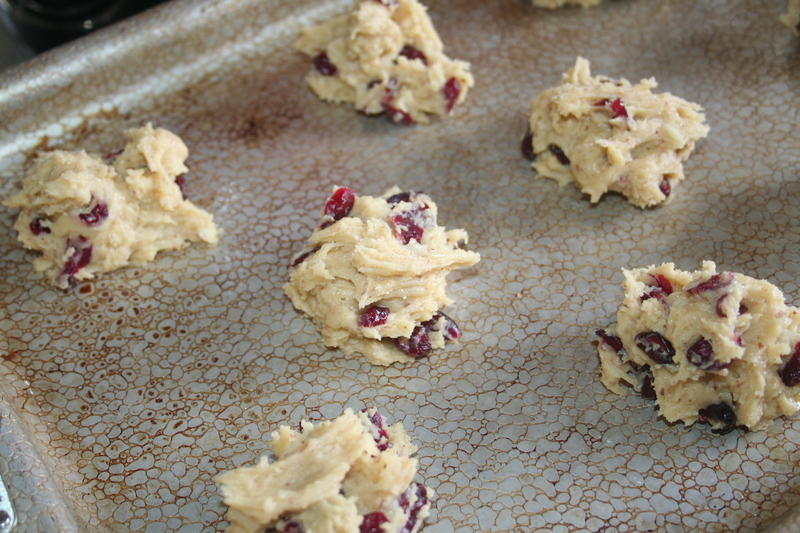 To make a long story short, the cranberry cookies are just as delicious as the chocolate chip cookies especially if you cannot have chocolate or sugar but you can have cranberries. Bottom line, I’d use it to bake over and over again. Sawyer, my nine-year old son even liked them better than the chocolate chip cookies and he LOVES sugar of any kind. I did not taste an aftertaste like many commenters on Amazon and other blogs talk about with the baked cookies. However, when I tested the batter before baking I did taste a bit of an after taste AND when I used it in my tea as well. It was not distasteful to me but I can see how some people said it had an after taste. The baking somehow takes care of that from what I experienced. Reiki or pray over anything that you take into your body for a healthier outcome. Blog coming soon on ‘Reiki your food’ ! Before baking with Just Like Sugar® I muscle tested myself and my assistant as I had the client who brought it in to me in the first place, to see if our bodies “liked” the product. We all tested positive for the Just Like Sugar® product. We had the green light to go ahead with out baking experiment. 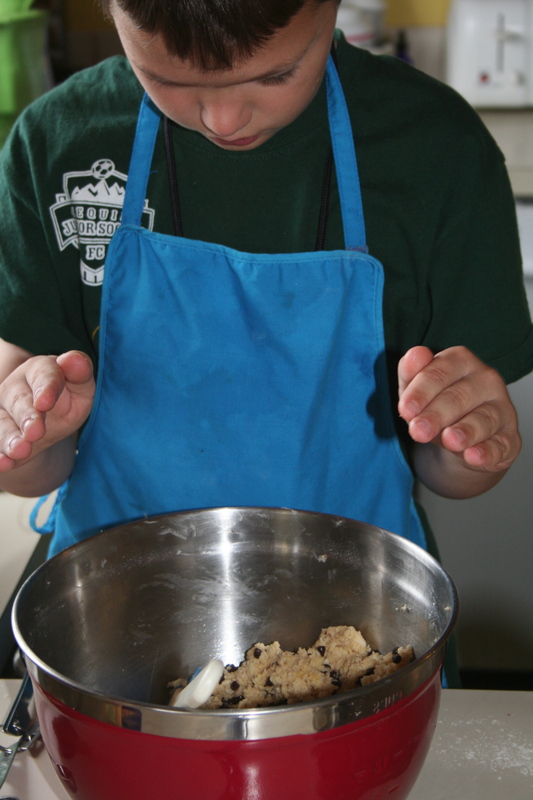 We also did Reiki over the batter before baking the cookies to assure the best energy and nutrition possible. Reiki your food!! Sawyer (Age 9) and my baking assistant, said “These are even better than the other ones. 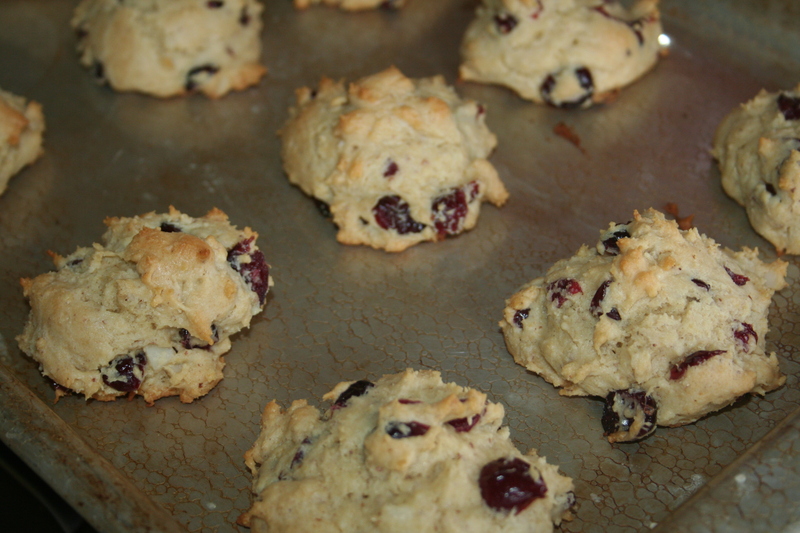 I like the cranberries even better than the chocolate chips!” He rated the cookies a 10 out of 10! The second experiment was a success as well. 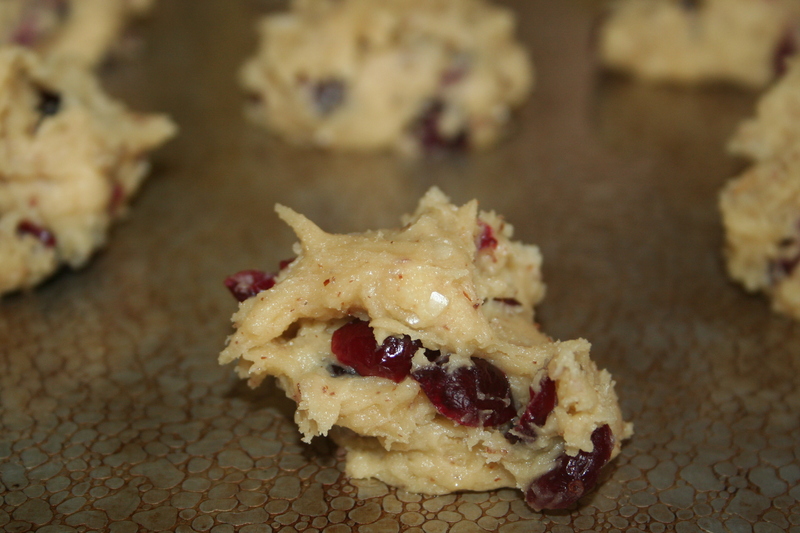 We LOVE the cranberry macadamia nut cookies and we will bake them again. Yield: approximately 20 cookies. Pre-heat oven to 350 degrees. Cream butter and sugar, add egg and vanilla then beat together. Add Pamela’s Mix, chocolate chips and nuts, then mix thoroughly. Place scoops of dough (1 TBSP scoop) on lightly greased cookie sheet. Flatten. Bake for 15 minutes or until edges start to brown. Let cookies cool slightly and use a spatula to remove from cookie sheet. Eat and enjoy! Sawyer loves to help me in the kitchen, sometimes. Yield: 20 cookies for us. Pre-heat oven to 350 degrees. Cream butter and sugar, add egg and vanilla then beat together. Add Pamela’s Mix, chocolate chips and nuts, then mix thoroughly. Place scoops of dough (1 TBSP scoop) on lightly greased cookie sheet. Flatten. Bake for 15 minutes or until edges start to brown. Let cookies cool slightly and use a spatula to remove from cookie sheet. Eat and enjoy! 1 hour to make and bake cookies, 1 hour to write the blog. Loving comments greatly appreciated!! Try the recipes and come back here and tell us what YOU think! Next post: Congratulations New Reiki Kids!! Yummy! Thanks for the recipe tips Josslyn and Sawyer. I’ll try them with Kayella! Thanks Heather for your comment. We still have some here if you want to come by for cookies and tea!! They are really yummy. Even Robert LOVED them and he’s not a sweets person. The ‘Just Like Sugar’ taste is lighter and not nearly as sweet as sugar, honey or agave but for us that is a good thing. They taste almost like shortbread cookies which we really like. Hope to see you both very soon. We just posted this on the Just Like Sugar Facebook page. Can’t thank you enough and sorry we didn’t see this sooner. Guaranteed you are not paid by us. We love your enthusiasm and thanks again.